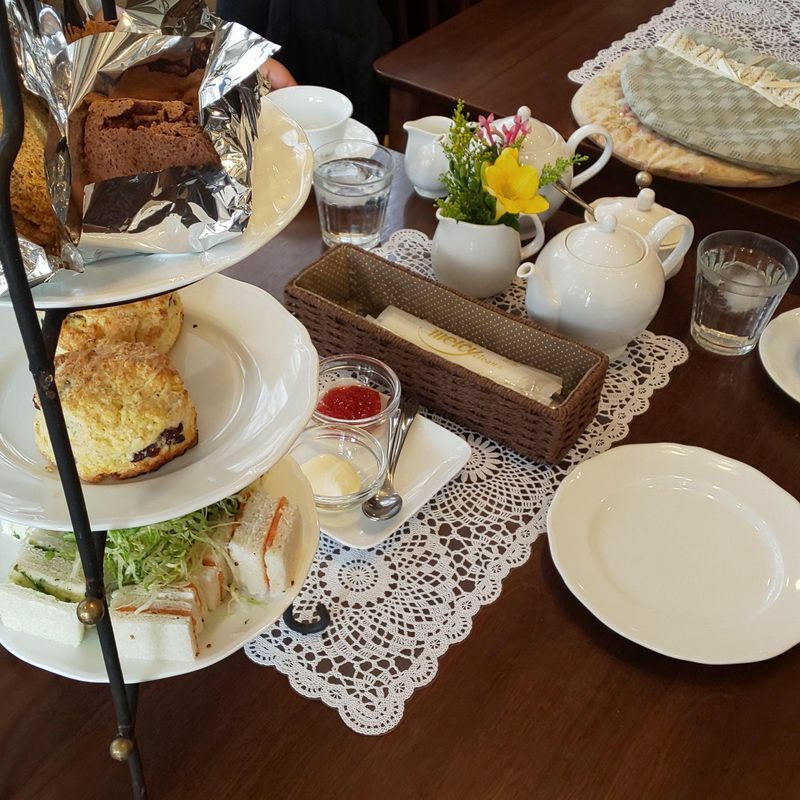 Tea Berry is a small cafe and craft space in Kawagoe. The cafe part is so small in fact that only 6 people can sit there comfortably. It is like having your tea in your a dining room, decorated by somebody else! The cafe offers an unusual menu in that on the one end they have curry and on the other: afternoon tea! We were there for the latter. A traditional, we could have been in Ireland, afternoon tea. The scones were particularly reminiscent of home. Really delicious. I have a quandry: the cafe is run by a sweet middle to older aged lady who is obviously very talented in the kitchen. She is also blessed with an artistic streak. But I feel a responsibility to mention that the cafe was not the cleanest I've ever been in. The delph was spotless as was the table and the toilet was surprisingly clean too, but there were areas in the cafe that left a lot to be desired. I hope that won't put anyone off too much, because truly the food is fabulous as is reflected in the online reviews of this intimate dining room with delicious homemade afternoon tea. No English available. The afternoon tea set needs to be booked in advance. The cafe is only open on Thursdays, Fridays and Saturdays. Parking available for about three cars.